" The reality of their lives in captivity is that many are in chains up to 18 hours a day. They are enclosed in steel pens -- often alone -- broken and controlled by fear and intimidation. " The seventh featured elephant site on the elephant repository is The David Sheldrick Wildlife Trust. We are featuring this site because of the large number of elephant orphans they have taken in in the past few months. The Trust has some very important programs helping elephants throughout Kenya. They have a very successful desnaring program which is making real differences in the lives of countless helpless animals. We encourage you to read more about their cause to save the elephants. 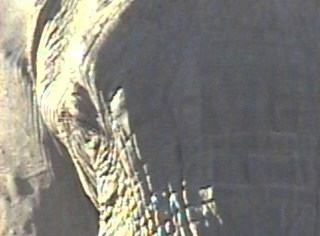 Development of The Elephant Sanctuary's facilities began March 1995. Phase I is now complete. This "elephant-friendly" facility includes a heated barn, a 40-acre steel pipe and cable elephant corral and a 56-acre perimeter people-fence. Our residents are not required to perform or entertain the public; instead, they are encouraged to live like elephants. We encourage you to support this very worthy cause. CAPS has recently put out a very interesting and eye opening video on animals lives in zoos called "Sad Eyes and Empty Lives". We are providing more information about this video and a Real Video section to watch the tape. CAPS's Information Link about "Sad Eyes and Empty Lives"
Watch the real video encoding of "Sad Eyes & Empty Lives"
This purpose of their site is to provide information about the actions taking place to prevent the inhumane torture - called "Mahout Training" - of the remaining Tuli elephants at African Game Services near Brits in the Northern Province of South Africa. The second featured elephant site on the elephant repository is the Owens Foundation for Wildlife Conservation. It was established in 1986 as a non-profit and tax-exempt organization whose purpose is to foster, fund, institute, underwrite, and in other ways promote wildlife conservation research, education, and wildlife resource protection and development with particular emphasis on threatened species and their habitats in Africa. You can learn more about Mark and Delia Owen's life work through reading their books (see the Great Ele-Books Section). A worthwhile cause we fully support! The first featured elephant site on the elephant repository is the newly designed site for The David Sheldrick Wildlife Trust. Daphne Sheldrick, best known for her rhino and elephant orphanage, she has worked her whole life helping the cause of elephants around the world and has helped us by providing the Repository with a wealth of knowledge on elephants.